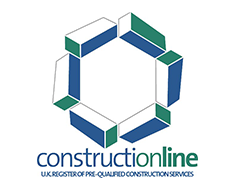 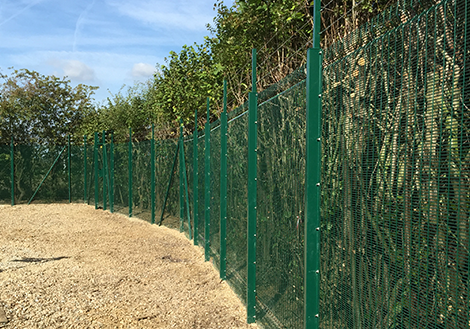 The nature of the sites in this sector requires specialist security fencing contactors experienced in the industry requirements plus highly trained installers with CPO, water hygiene and CPCS cards. 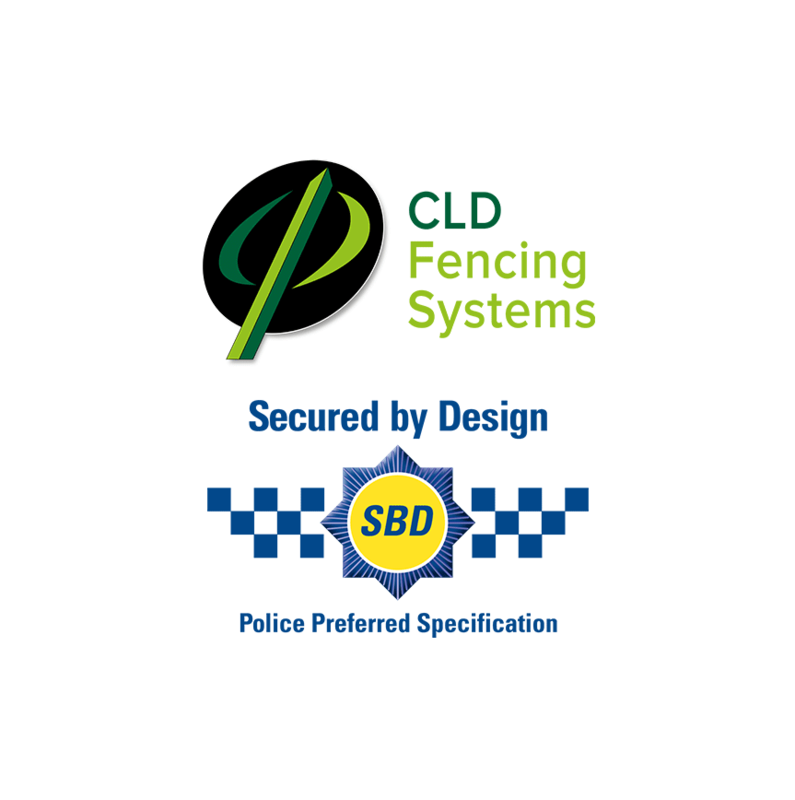 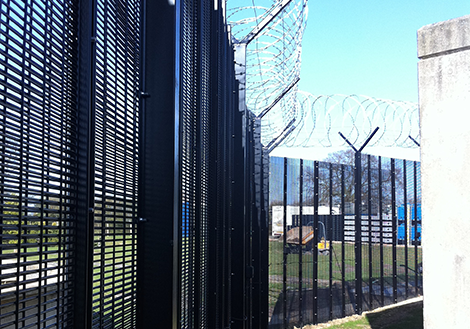 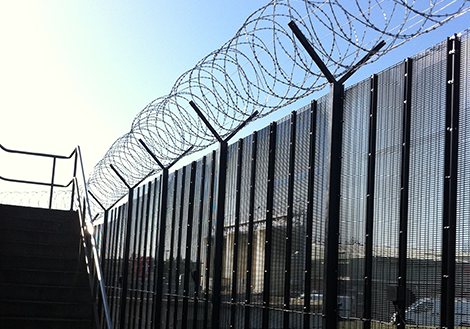 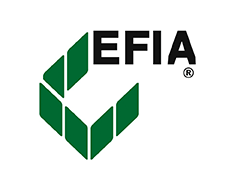 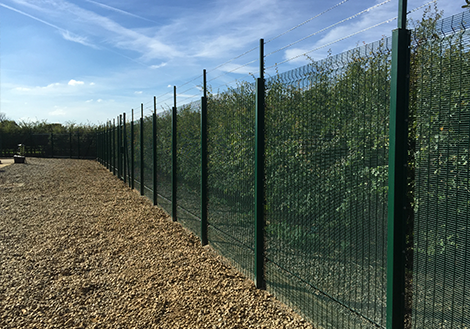 The fencing industry has worked with several government accredited bodies to produce a range of high security fencing categories to be applied to sites of strategic national importance. 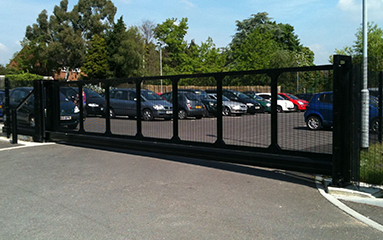 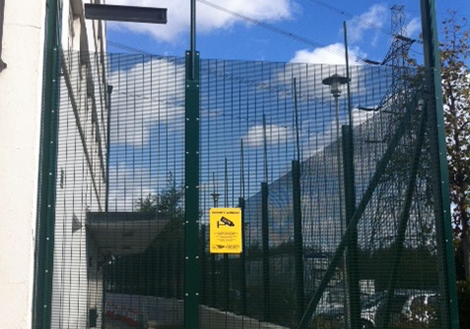 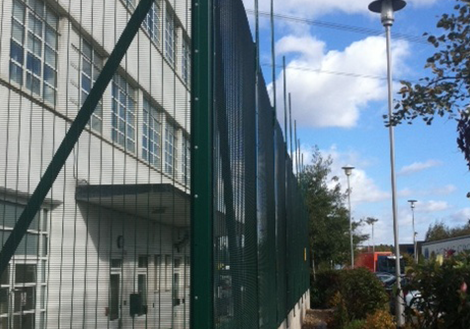 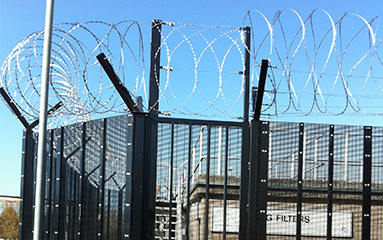 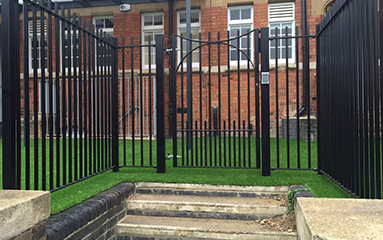 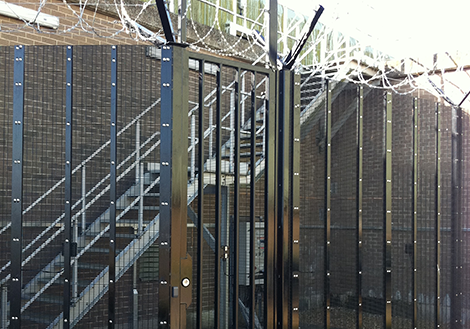 We have just completed this project where we installed approximately 220m security mesh and emergency gates. 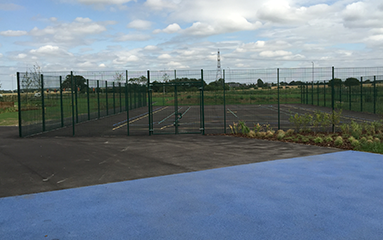 This project was completed in 2012 and was based over 3 sites. 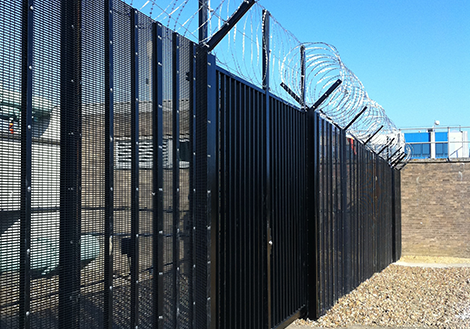 We installed specialist fencing & gates to the LPCB certification specification. 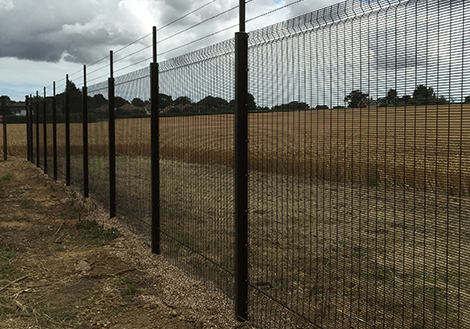 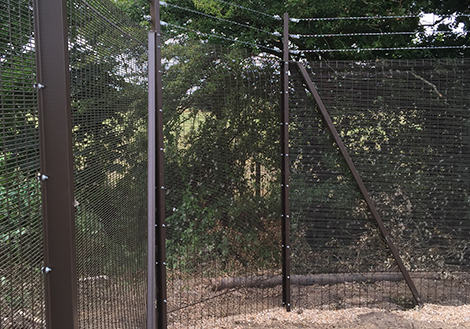 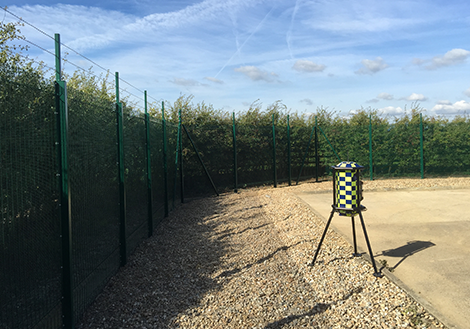 Working alongside a Main Contractor, we were instructed to install a 3m high Super 6 358 high security fence with post extensions for an electric fence. 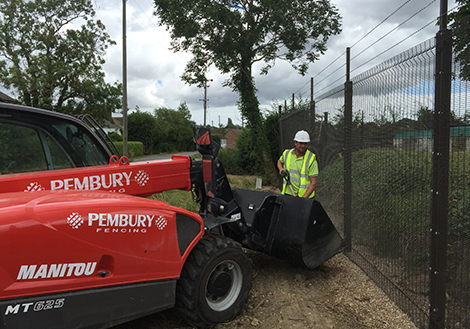 The fence was installed on top of a 1.2m high flood defence wall and included a 4.2m high double leaf emergency exit gate. 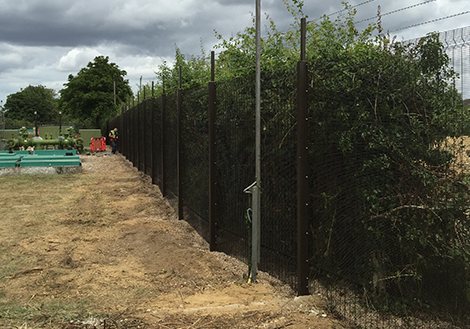 UK Power Networks required the fence and flood wall installed to a tight program prior to the commencement of the 2012 London Olympics. 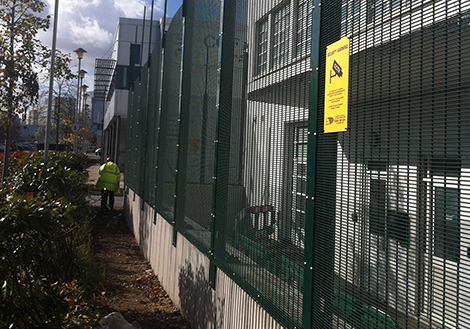 Working within the boundary of a live and active Power Station required considerable experience and expertise to meet the clients Health & Safety consideration.